Straight off the bat, you’re probably wondering what a hybrid water heater is. More importantly, you’re probably wondering why you would even need one. Well, for starters, a hybrid water heater is – as the name suggests – a device installed within households which heats up water for use. However, unlike traditional water heaters, hybrid water heats do not generate heat by their own. Instead, they transfer heat from the surroundings towards the water supply through the use of electricity. For this very reason, they are also named heat pump water heaters. 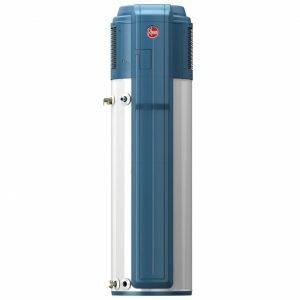 The main reason for why hybrid water heaters are chosen instead of traditional water heaters is because they are much more apt at heating water and are also energy efficient. In fact, a typical hybrid water heater uses 63% less electricity than a normal water heater does for the same job. Additionally, they tend to have a longer lifespan. So, if you’re looking into purchasing one, look no further. Here are some hybrid water heaters we believe you’ll be interested in. So, what does the first entry on our list have to offer? First off – and most vital of all – the item’s energy efficiency. 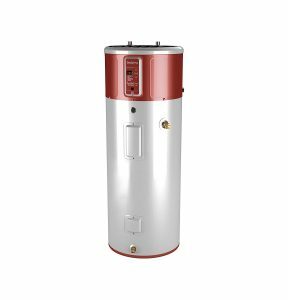 The GEH50DFEJSR hybrid water heater boasts a 2.9 energy factor, making it an ideal choice for any homeowner that is conscious about energy conservation. In fact, for any household of three to four people, the hybrid water heater offers an annual savings of $370 to $490. The final testament for the item’s ability to conserve energy is its Energy Star certification by the U.S Environmental Protection Agency. 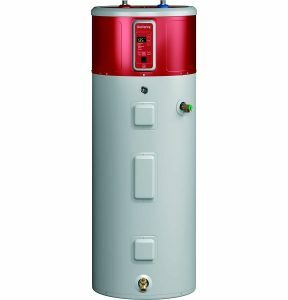 Shifting the focus to the hybrid water heater’s specifications, the item weighs a moderate 185 pounds. It also operates at a voltage of 240 volts and a wattage of 4500 watts. Additionally, it supplies approximately 67 gallons within the first hour of use. If you’re a homeowner interested in buying this particular item, you might want to take note of these details when deciding whether or not this truly is the most suitable choice for you. Another nifty feature of the GEH50DFEJSR hybrid water heater is its vacation setting. If you wish for your water to be kept at a comfortable temperature without consuming too much energy, then the vacation setting is great for just that. 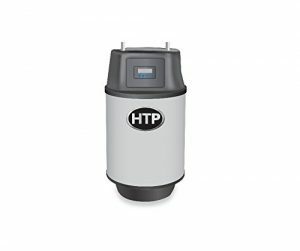 The HPTU-50N possesses several impressive features that make it a favourable water heater for any household. Just like the previous item on our list, the HPTU-50N is perfect for conserving energy. In fact, the item holds a 3.42 energy factor, along with an Energy Star certification. In terms of accessories, the hybrid water heater includes an electronic user interface. It is easy to use and enables the owner to adjust the temperature, change modes, and receive diagnostics concerning the item’s performance. Quite a handy feature, to say the least. Then comes the duct kit that accompanies the item. This particular component allows the owner to control the outlet of air from the water heater according to preference. It also makes it easier for the water heater to be installed within tight spaces. Lastly, is the item’s durable copper anode that keeps the water heater secure and operational for up to 10 years. Oh, and let us not forget the inclusion of a vacation setting. What’s there to say about the GE-GEH50DEEDSR model? Let’s start off with the fact that it uses an impressive 62% more energy efficient than your ordinary electric water heater of 50 gallons. To put that in terms of money, you can save $365 every year with it. Similar to the other two entries, this model possesses an Energy Star certification with the addition of a UL and California Prop 65 certification. Interestingly, it comes with 4 different operational settings excluding its default hybrid setting. The 4 additional settings include a vacation mode, electric (with the fan off) mode, heat pump mode, and high demand mode. All of these modes are included in order to ensure that the user is provided with a performance most suitable for them. When it comes to installation, the item is free-standing and is best suited for indoors. The basement, utility room, or garage are all ideal places. The RGH-100F may be small – its water storage capacity holds a figure of 20 gallons – yet it is well worth the money. The item possess a 96% thermal efficiency rating. In comparison, a typical water heater of the same size tends to be at around 70%. For this reason, it is no surprise that the item has been granted an Energy Star certification. 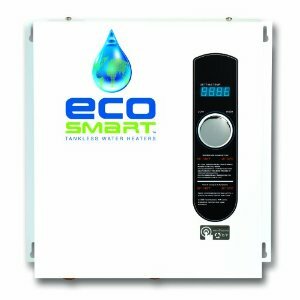 What’s great about the RGH-100F is that it includes several features that set it apart from other hybrid water heaters. 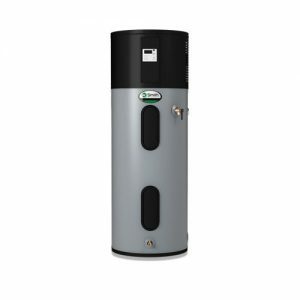 For example, the RGH-100F includes a fire tube heat exchanger crafted from stainless steel that aids the water heater in carrying out its task. It includes additional insulation which, along with the relatively low water volume, reduces standby loss. Best of all, the tank is built for durability and to battle corrosion. Another perk of the RGH-100F is that it is environmentally friendly. Its mechanics are specifically designed to cut back the amount of nitrous oxides emitted, making the RGH-100F a great item for anyone wishing to decrease their carbon footprint. Lastly, the HP40RH HP-40 model by Rheem. The item is built from stainless steel, the perfect material needed for a long-lasting device. Installed within it are intricate mechanical systems that keep it from freezing or overheating, and ensures a great performance. At the top, rests an air filter, to clean out the air from which the hybrid water heaters draws its heat from. A neat feature of the item is its LED control panel that is safeguarded behind a small door. The control panel enables the user to switch the setting of the water heater between three different options: energy saver, normal, and electric heat. To top it all off, is a high-quality resistored anode rod that keeps the water heater protected and ensures a long lifespan. To put it in one sentence, the HP40RH HP-40 is as good as any standard hybrid water heater gets.